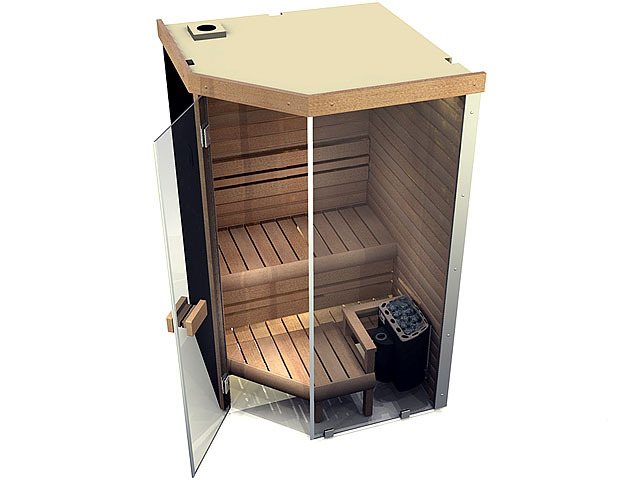 This is a simply stylish sauna with a modern Scandinavian feel, designed and manufactured with 20 years of experience in authentic Finnish saunas. 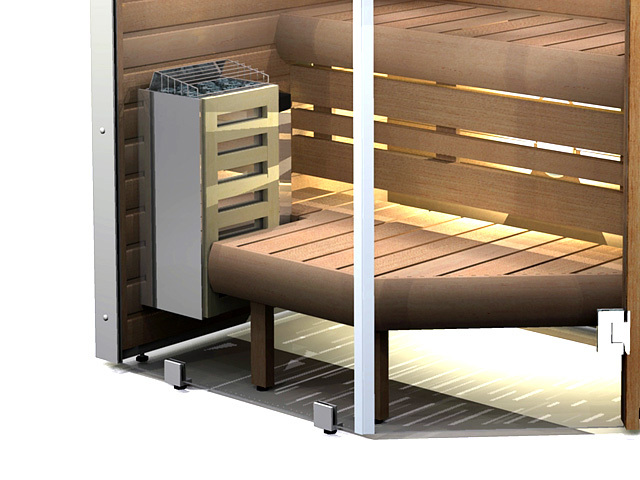 It is airy and feels spacious, allows you to enjoy and relax. 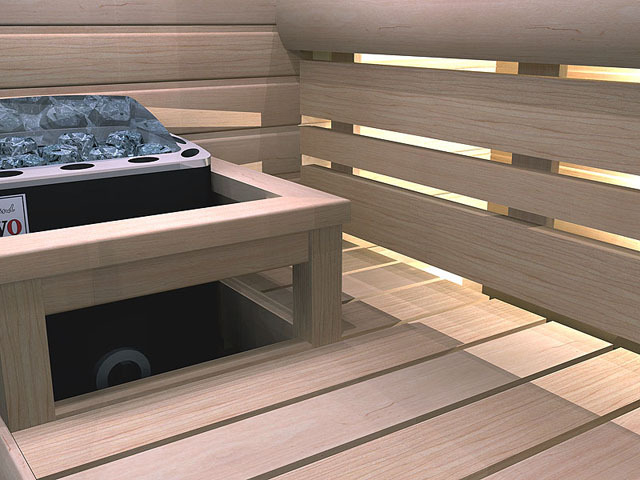 The bathing is soft, moist and highly enjoyable. 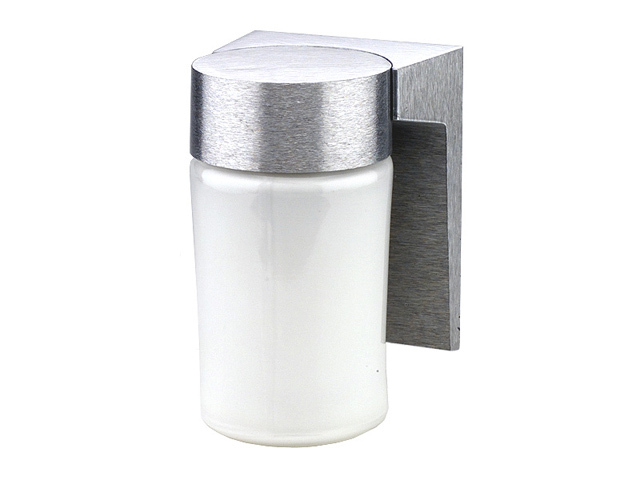 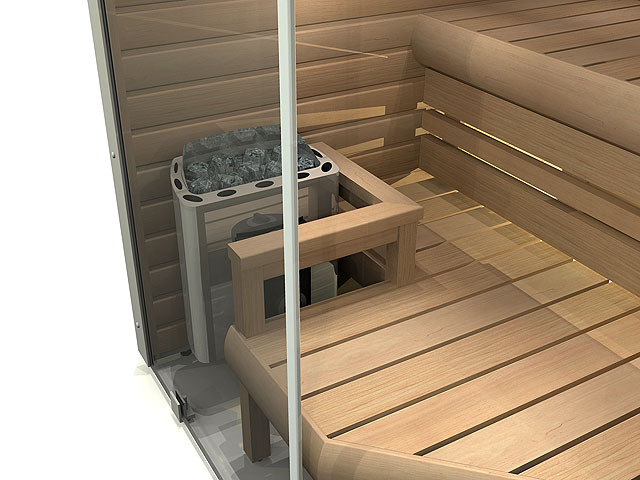 The stylish NL1210 Aura will bring a spa to your home. 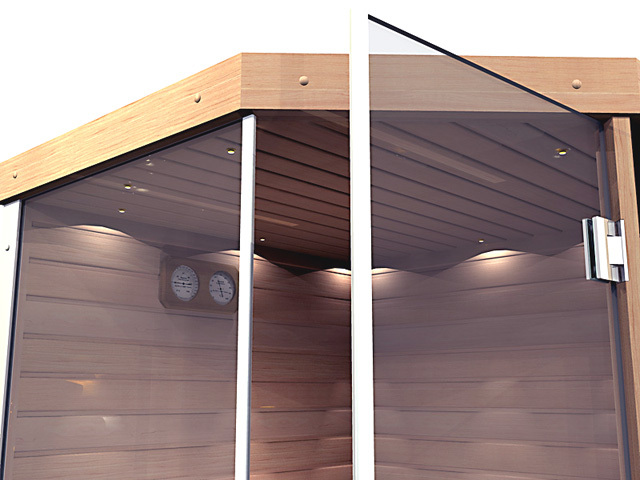 The full-glass front wall doubles as a shower separating wall. 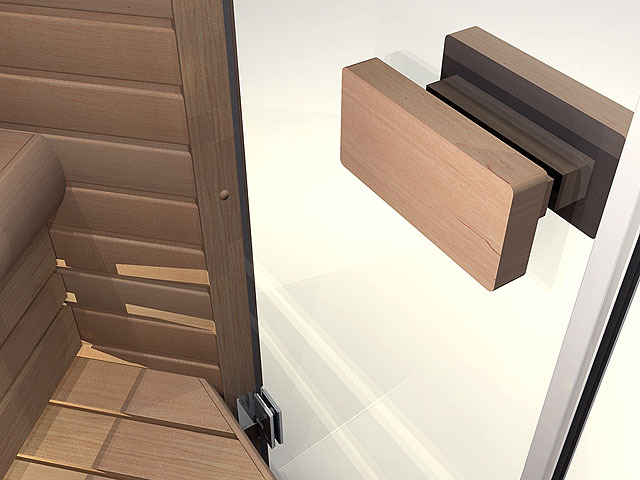 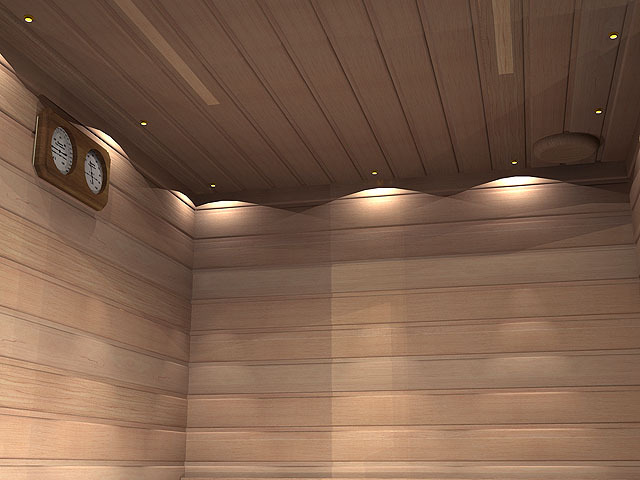 The total depth of the sauna is only one meter, so the sauna will fit in a very small space. 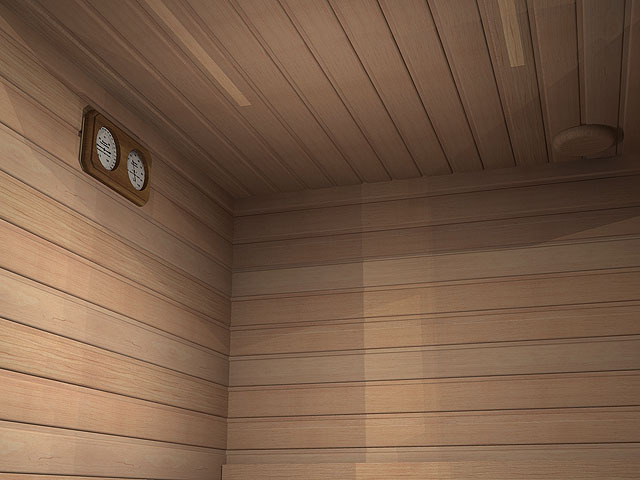 The sauna has space for two people. 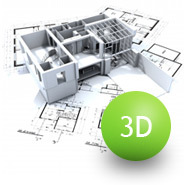 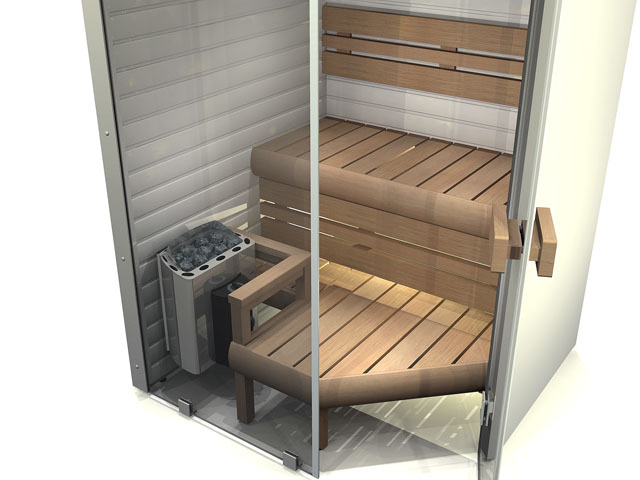 Try how this sauna model fits in your home with our free and easy to use 3D room designer. 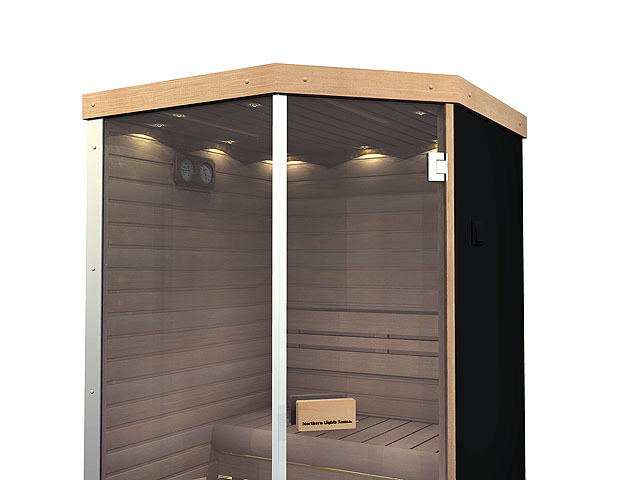 The sauna size is 48.5x39 in. 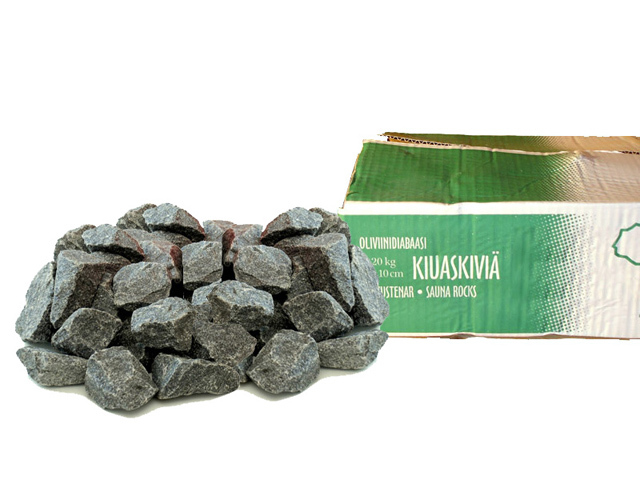 (123x100 cm). 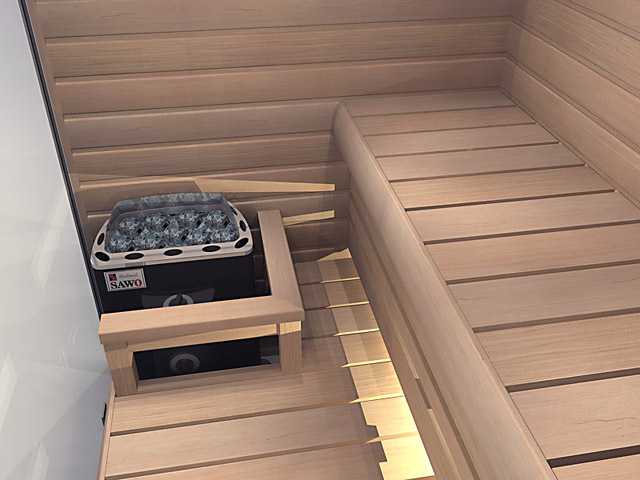 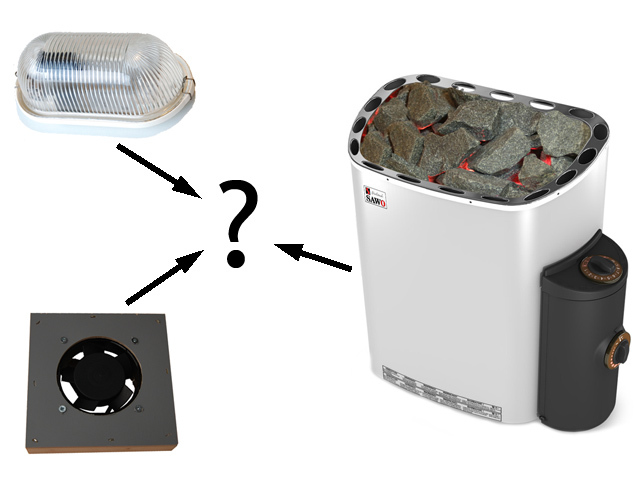 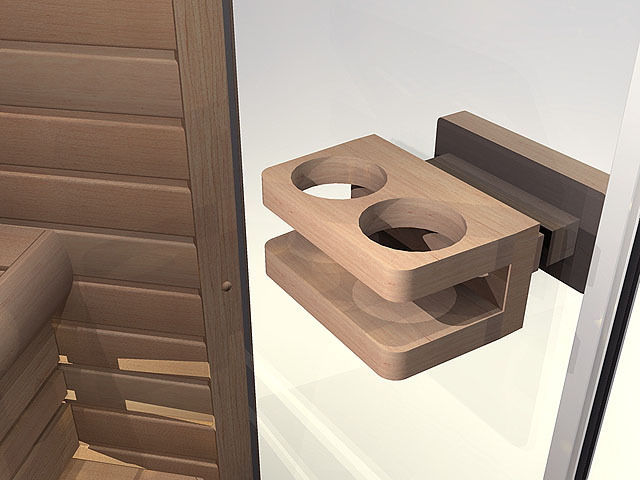 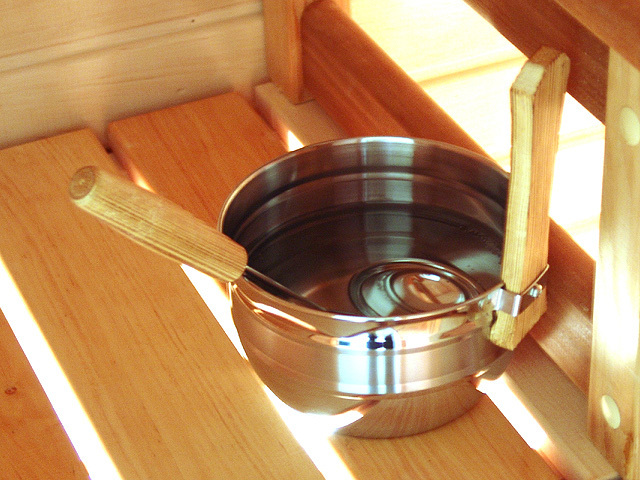 The air fan brings fresh air into the sauna at the top, and pushes hot air down to your feet. 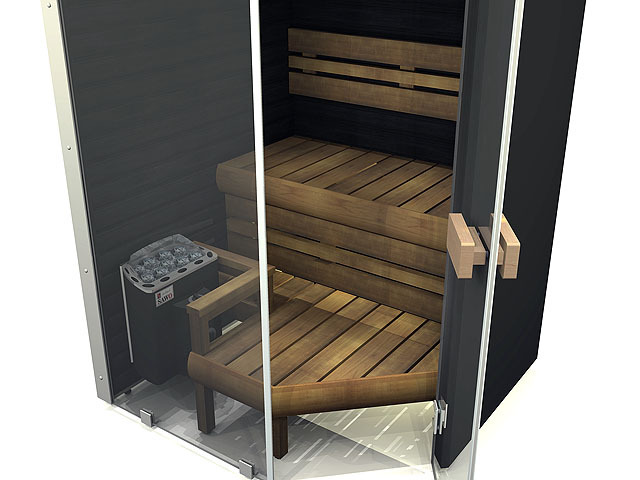 The bathing experience is enjoyable, moist and the top-down temperature gradient small. 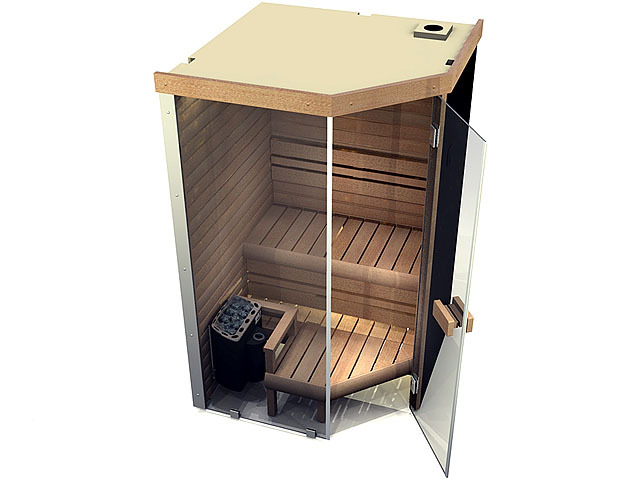 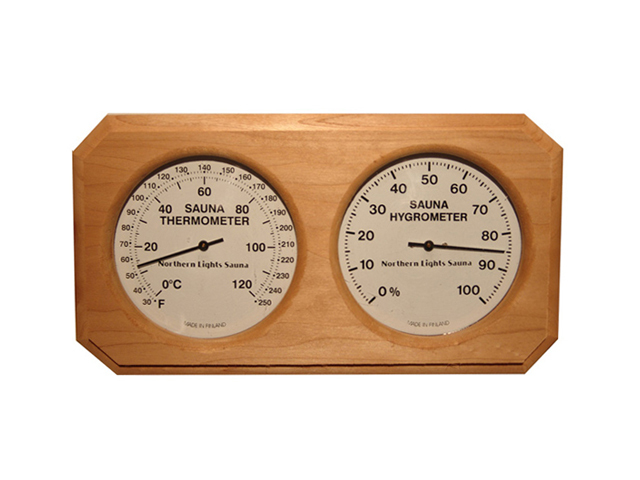 The typical bathing temperature is c. 170 deg F.
Sauna size: 48.4x39.35 in., height 80 in. 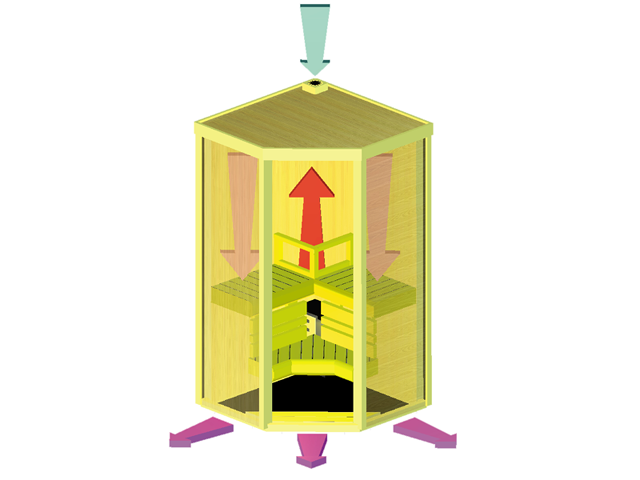 (123 cm x 100 cm, height 203 cm). 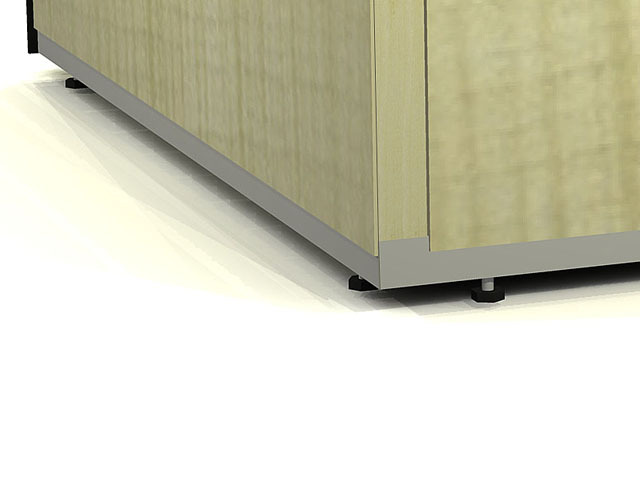 Weight c. 550 lbs (250 kg). 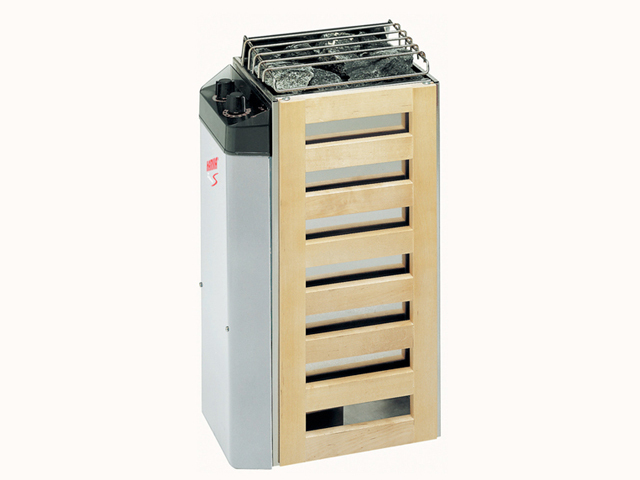 Heater type: Harvia JM30 Compact, power 3,0kW. 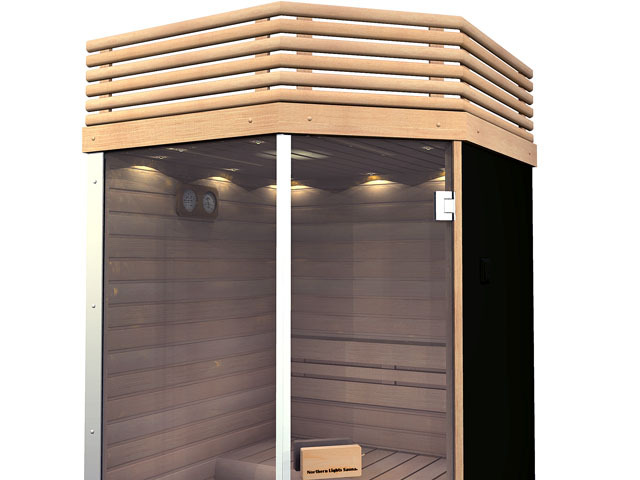 Apply for a permit or seek approval before ordering your sauna, to confirm there are no objections in the building code or rules. 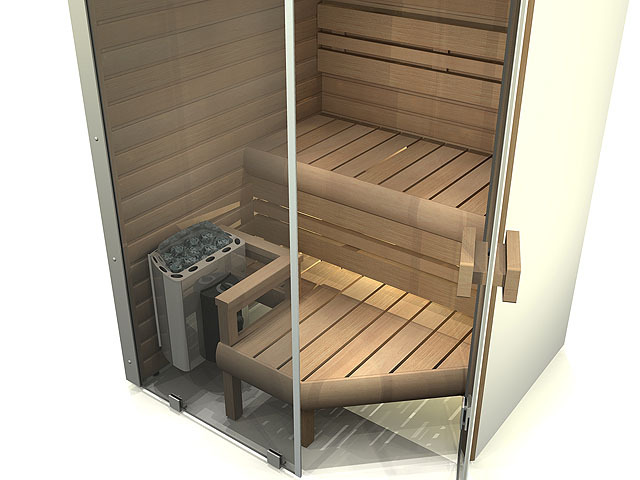 A bathroom sauna is normally considered to be a piece of furniture, or an appliance, and does not need a building permit. 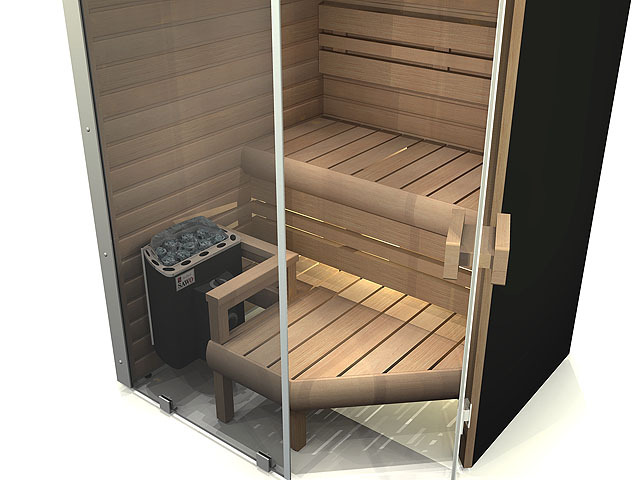 The sauna heater has 3,0 kW power (compare this to your hair dryer of 2kW). 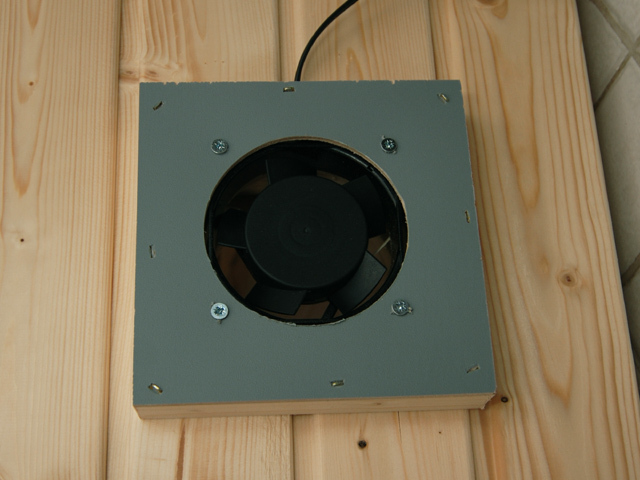 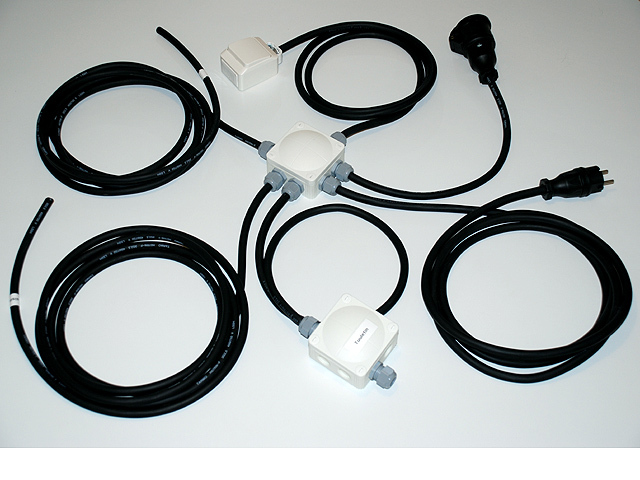 The other electrical equipment in the sauna, the LED-star light kit, c. 10W and air fan 15W.